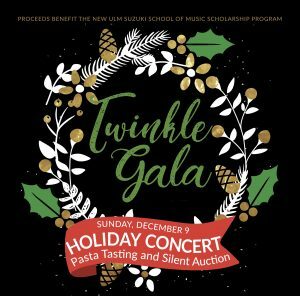 The New Ulm Suzuki School of Music will host their annual gala and fundraiser on Sunday, December 9 at the United Church of Christ starting at 5:00 pm. The gala will feature live musical entertainment, a pasta tasting, fun beverages, dessert, and a silent auction. Tickets are $25 in advance and $30 at the door. ​M​usic will be provided by the Allegro Strings, a classical string ensemble, and performances by the Suzuki school’s advanced piano students. The event is a fundraiser for the school to support its student scholarship program and additional enrichment programming including our annual Suzuki workshops and other outside music enrichment opportunities. Qualified students use the scholarships to enhance their private Suzuki lessons​ ​by​ ​participating​ in a Suzuki Institute​ or our Pops Camp. The institute program provides an immersive musical experience with dynamic, nationally recognized Suzuki faculty while striv​ing​ to edify the character of students, teachers and families. 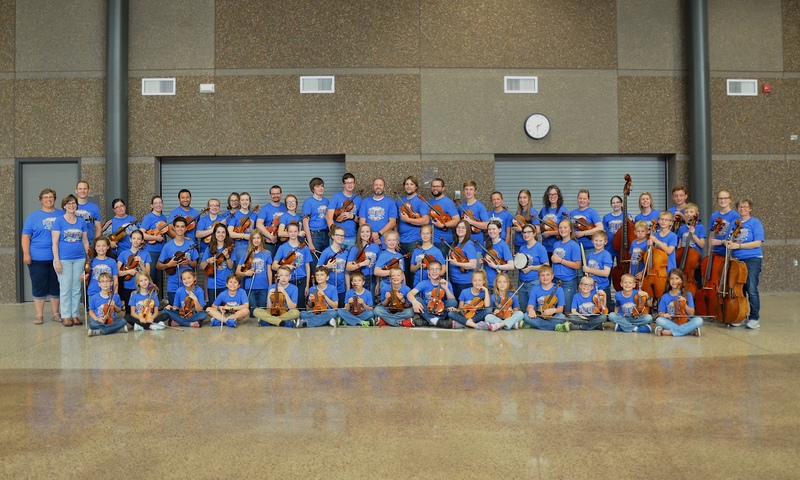 Our Pops Camp provides an opportunity for players at many levels and different instruments to gain experience playing in a large ensemble setting. For more information ​and ​to order gala tickets​ visit the Eventbrite site, call 507-276-3928, or email contact@newulmsuzuki.org. Please download, print, and distribute the following materials to as many people as you can!